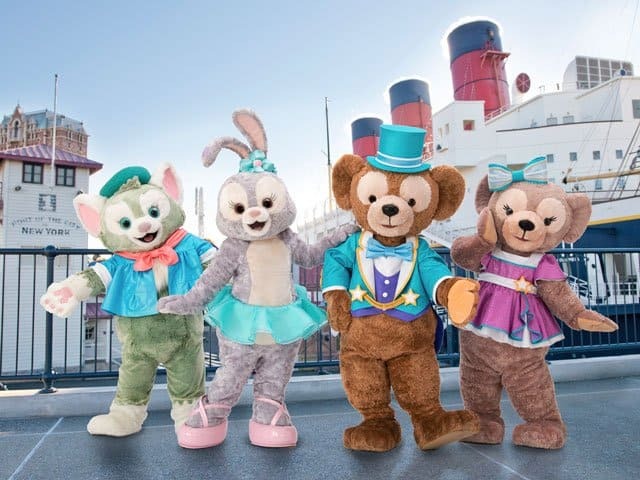 A new Duffy greeting show is coming to the Dockside Stage in the American Waterfront starting July 11, 2017, and runs until March 19, 2018. This new show is the temporary replacement for “A Table is Waiting” and features the newest friend StellaLou! In addition, we recently told you about the several entertainment programs that were ending at both parks. 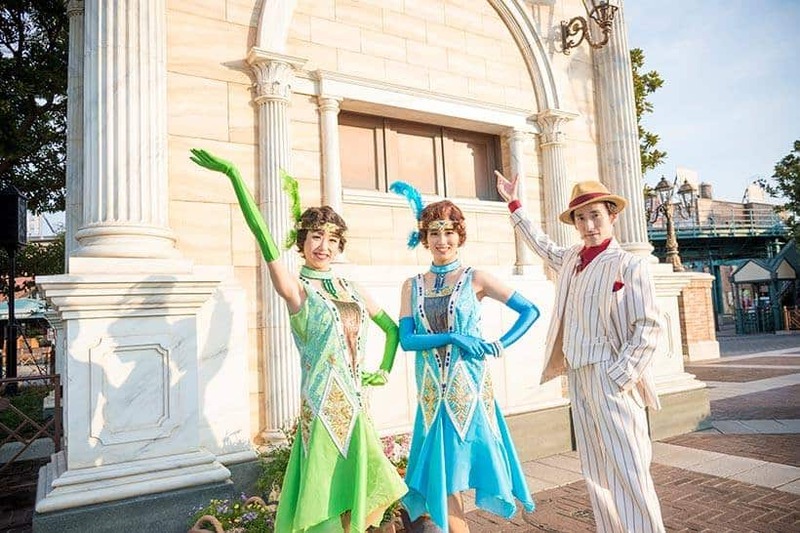 We’re glad to report that there are three replacements starting on April 1, 2017, at both Tokyo Disneyland and Tokyo DisneySea! We have all the details for you. This new show is the temporary replacement for A Table is Waiting, which ended March 17, 2017. 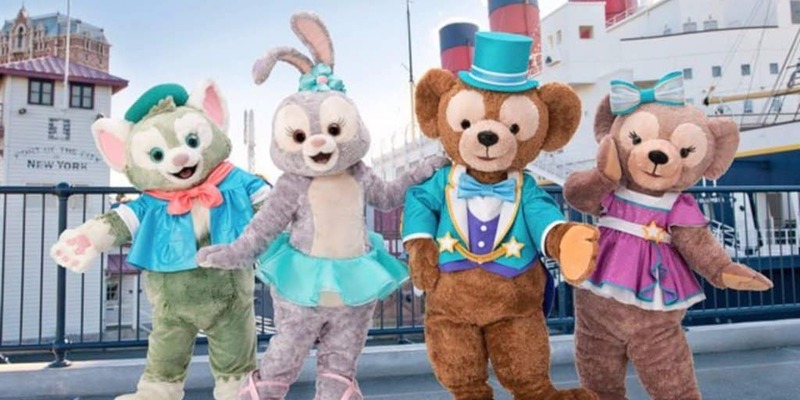 “Steps to Shine” will feature StellaLou, the new friend Mickey Mouse and Duffy met on their travels, who with her cute ears and starry eyes dreams of dancing on the Broadway stage. To help her on her way, Mickey Mouse and Duffy prepare a stage where she can put her dancing practice to the test. Minnie Mouse, ShellieMay, and Gelatoni, also lend a hand as their new friend strives to make her dream come true. Guests can enjoy interacting with Duffy, StellaLou, and friends in the greeting segment of the show, and share in the joy as StellaLou takes her first steps towards achieving her dream. All images and information are from the English Press Release from OLC. All performances start April 1, 2017. 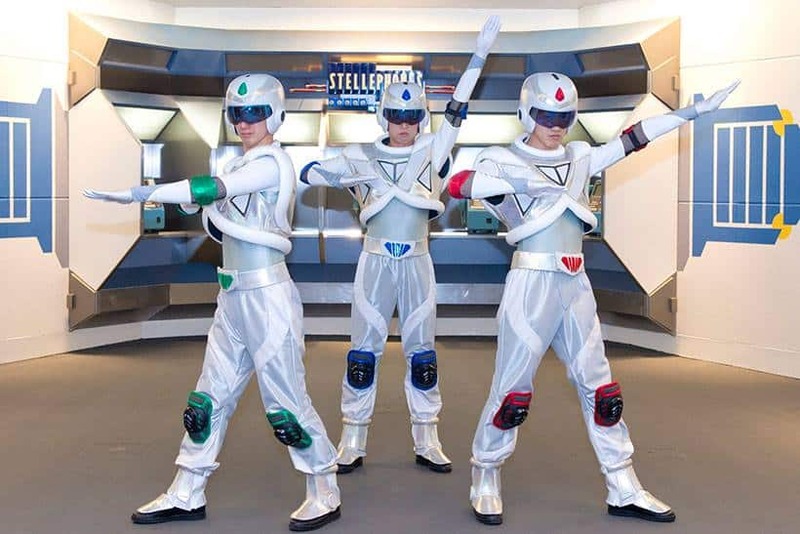 Robo Astro is a space-themed show with state of the art Robot Astronauts whose mission is for Space Peace. Guests can enjoy while also participating in this fun new entertainment program. 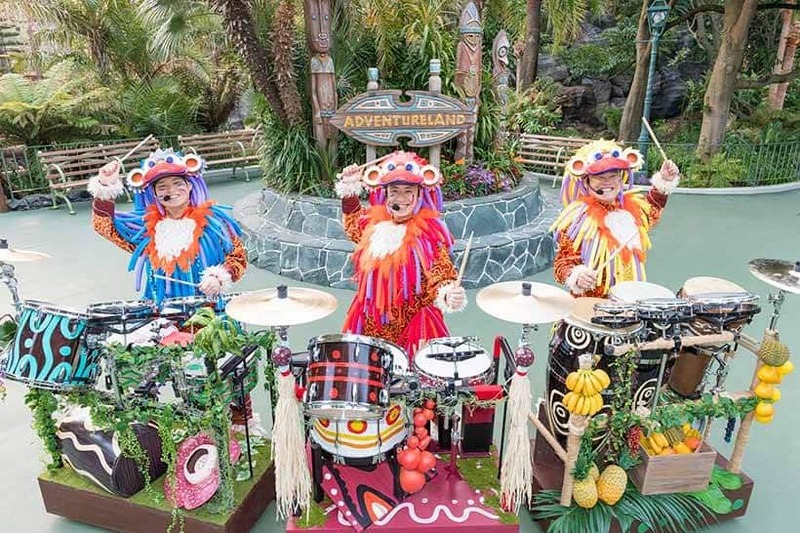 Three performers dressed as playful monkeys will play percussion instruments while guests can clap and dance along to the music. It’s 1920’s America where people are looking to pursue dreams by auditioning in this fun tap dancing performance. Do you have the singing talent to win?